How do I list my business on True Local? It’s quick and easy to list your business here. Your business won’t appear on the site right away as it can take up to 48 hours for our database to update, and you’ll be notified when your listing is live. How do I manage my listing details? What are the business listing rules? What category should I place my business in? I just registered my business. Why isn't it showing up in search results? How do I add all my business locations on True Local? How can I get my business listing to show up in every suburb or postcode I service? 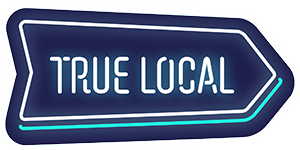 How can I advertise with True Local?